Part 3 of 4. For a short review of our whole season, please click here. 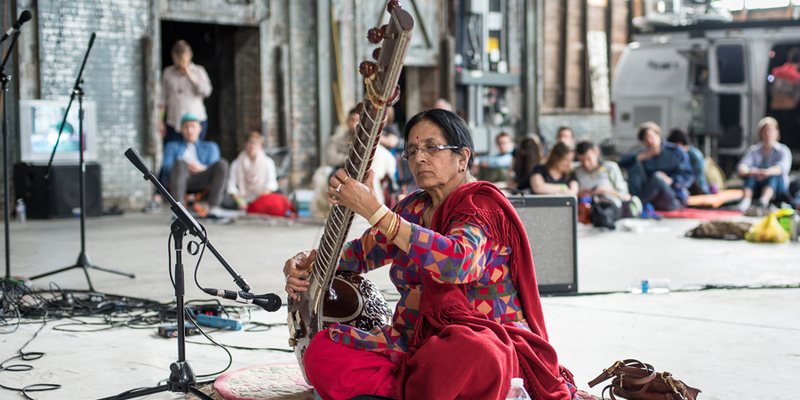 With Basilica SoundScape and 24-HOUR DRONE, the two annual music festivals at the heart of our large-scale rituals, we welcomed revolutionary voices from across the musical spectrum, from sitarists to suspended guitars and gripping political poetry to heart-wrenching neo-gospel. Elsewhere, we DRONED with international satellite events in Canada, Sweden, the Netherlands and the UK, and united global instrumentation to fill a warm afternoon with fully improvised chance collaborations. An evening of chamber music provided a night unlike anything else in the Basilica Hudson calendar, and The National brought friends from near and far to raise funds for Basilica’s mission to foster sustainable community. 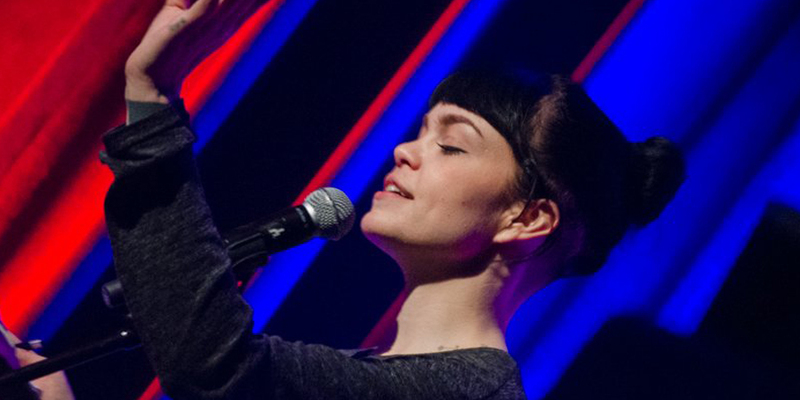 We were proud and honored to be able to bring together revolutionary voices to the stages of our annual weekend of music + art, as Basilica SoundScape returned for its sixth year. 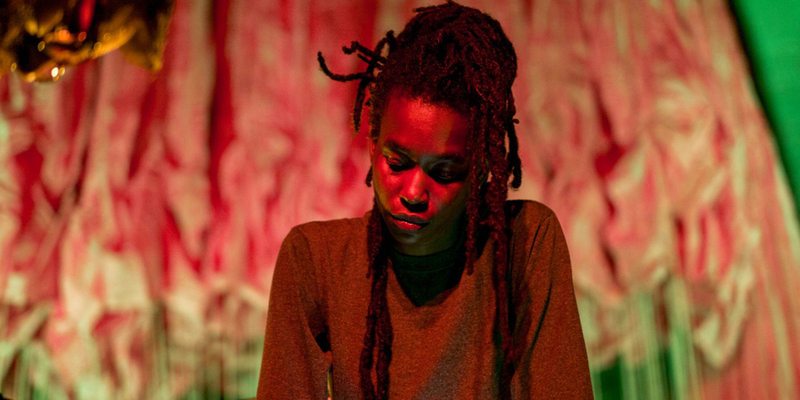 Working in collaboration with our long-time co-curator Brandon Stosuy of The Creative Independent, the addition of a new collaborator – writer Jenn Pelly – meant this year’s musical guests eschewed genre, with the neo-gospel of serpentwithfeet colliding with the raw metal of Thou and Yellow Eyes. Blanck Mass’ jarring wall-of-noise counterbalanced the skewed footwork of producer Jlin, while the righteous fury of Moor Mother sat in stark contrast to the bleak dystopias of John Maus. We were stirred by the lyrical protest music of Emel Mathlouthi and communed as the sun set over the mountains, bathing Basilica in a golden glow, for the instrumental minimalism of Bing & Ruth. A new free event on Sunday organized by local artists Shanekia McIntosh and Joey DeJesus put the focus on Prayer, Protest and Peace. The event – titled The Triptych – was a thoughtful and experimental way to close out our weekend of bold and revolutionary voices. We immersed ourselves in an endurance homage to sound as 24-HOUR DRONE – our annual ritual of exchange, presented in collaboration with Dutch music festival Le Guess Who? – returned to open our season in the wake of spring. From flautists to suspended guitars, sonorous bird cages to sitarists, tape decks to deconstructed speakers, we invited devotees of sound to fully immerse, to honor and celebrate sound without the tight hands of time. With participants including Roddy Bottum (Faith No More), Brian Chase (Yeah Yeah Yeahs) & Yonatan Gat (Monotonix), Brian DeGraw (Gang Gang Dance) & Tim Koh (Haunted Graffiti), Lee Ranaldo (Sonic Youth), Veeta Chandra, Vision Control and Jesus Cactus, Basilica’s 24-HOUR DRONE was a weekend like no other. We raised flags and funds for art and freaks at our annual ritual of inclusion, the freakier counterpart to Hudson’s Flag Day parade. With performances and dancing until the wee hours, we came together cloaked by night and surrounded by the colorful explosions of Hudson’s spectacular fireworks display, one of the largest in the Hudson River Valley. 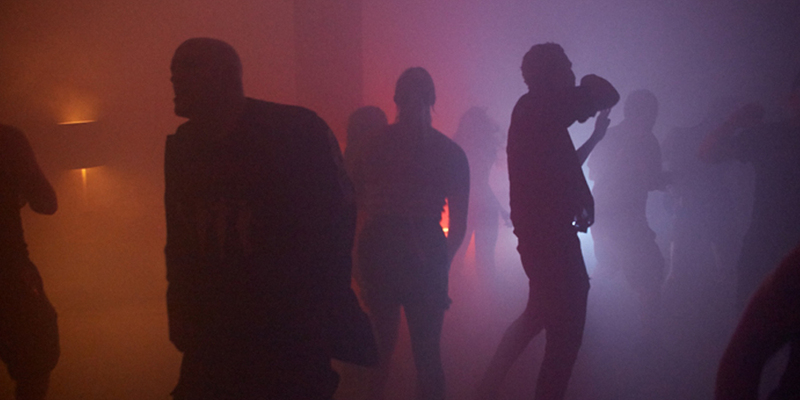 Friends and like-minded freaks joined us in a new wave gothic electronic rave, with DJ sets from SEVEN T*TS, Alger Moy, DJ Danny Cash Cash + DJ Lavish and SVB in Basilica’s West Wing. 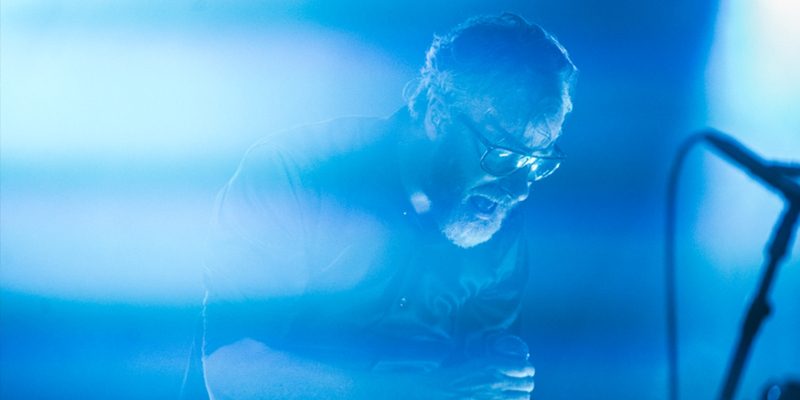 The National hosted a weekend of live music in celebration of their Grammy-winning album Sleep Well Beast. 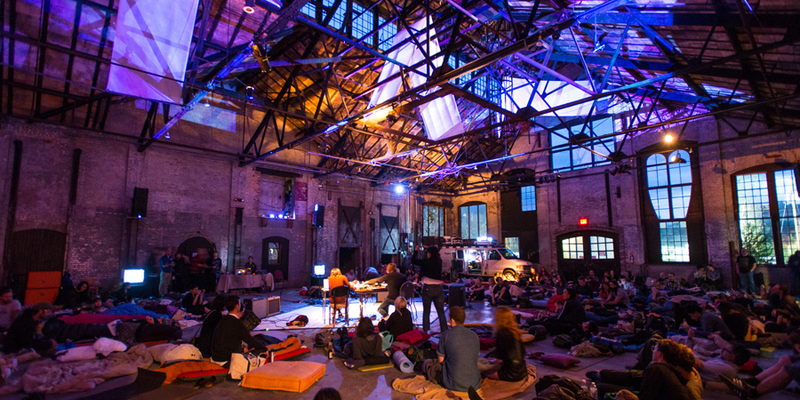 Drawing fans from near and far to Basilica’s industrial church, the band – inspired by having witnessed the space during 24-HOUR DRONE – played in the round surrounded by a supporting cast of friends and collaborators to raise funds for Basilica to continue its mission to foster sustainable community. Hudson locals Buke & Gase and Bard College-based Sō Percussion – as well as cellist Nadia Sirota and electronic outfit Mouse On Mars – assisted The National in creating an evening of continuous music and cross-genre collaborations. The newest cohort of international musician fellows from Ghent’s inspiring art organization and sculpture park Art Omi joined us in August for an avant-garde celebration of global sounds. 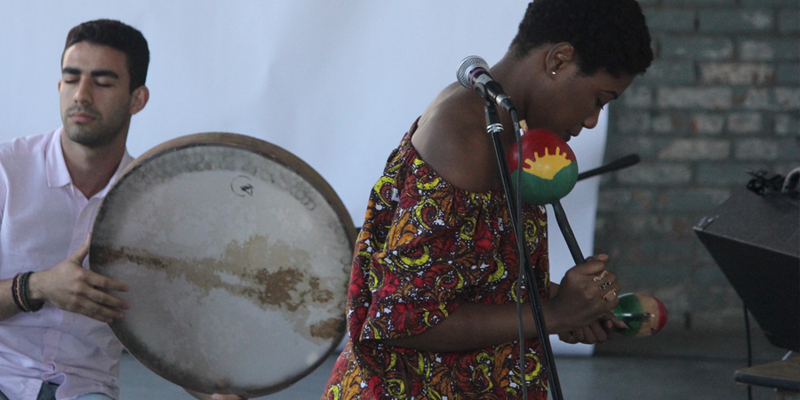 Having only met the day before the event, musicians from Nigeria, the UK, Taiwan, Iran, Namibia, Ireland, Italy, Peru, Australia and Germany took part in a Cagean game of “guerrilla improvisations”: spontaneously created ensembles blending unusual instruments and transcontinental influences. 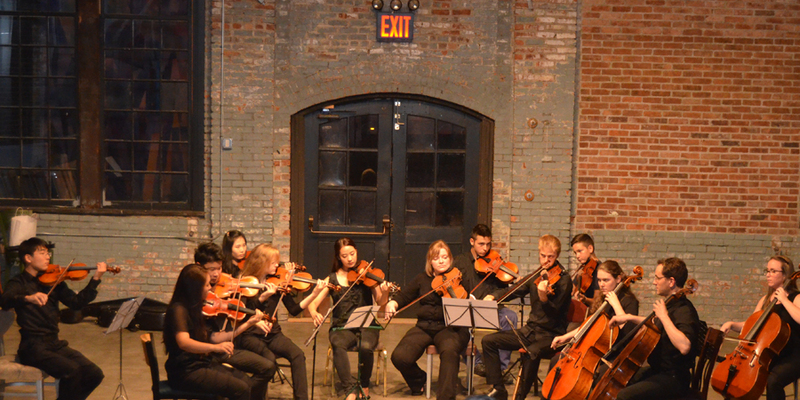 Rising young international artists performed chamber music unlike anything else in Basilica’s musical calendar, as Catskill High Peaks Festival returned. Filling the resonant space of the North Hall with an exuberant display of virtuosity and talent, the program featured works by women composers—an often-overlooked area of the classical canon – to mark the centennial of the beginning stages of women’s suffrage in New York State.